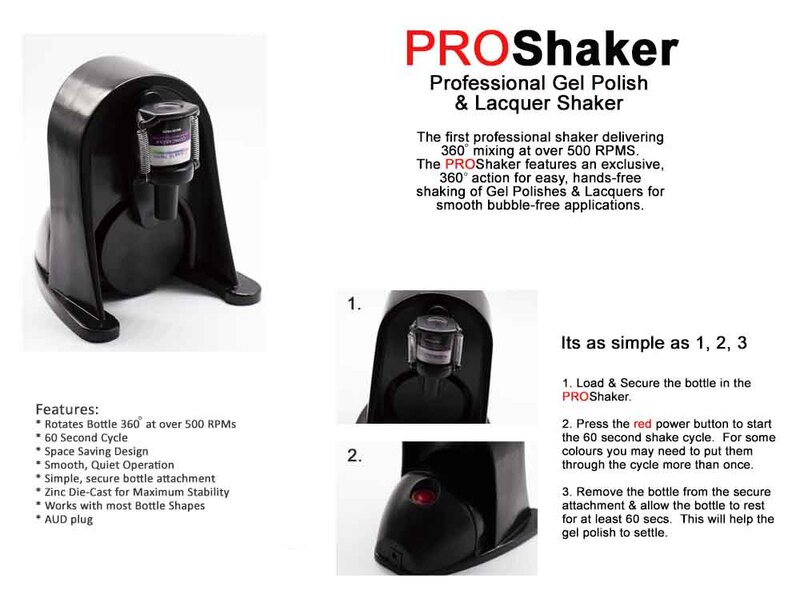 The PROShaker is the first Professional Gel Polish & Lacquer Shaker which features an exclusive, 360 degree action for easy, hands-free shaking of Gel Polishes & Lacquers for smooth bubble-free applications. Delivering over 500RPMS. The manufacturer is offering a 1 year Warranty on Mechanical Breakdown of the machine only, this does not include the springs. The machine comes with a second set of springs. 1. 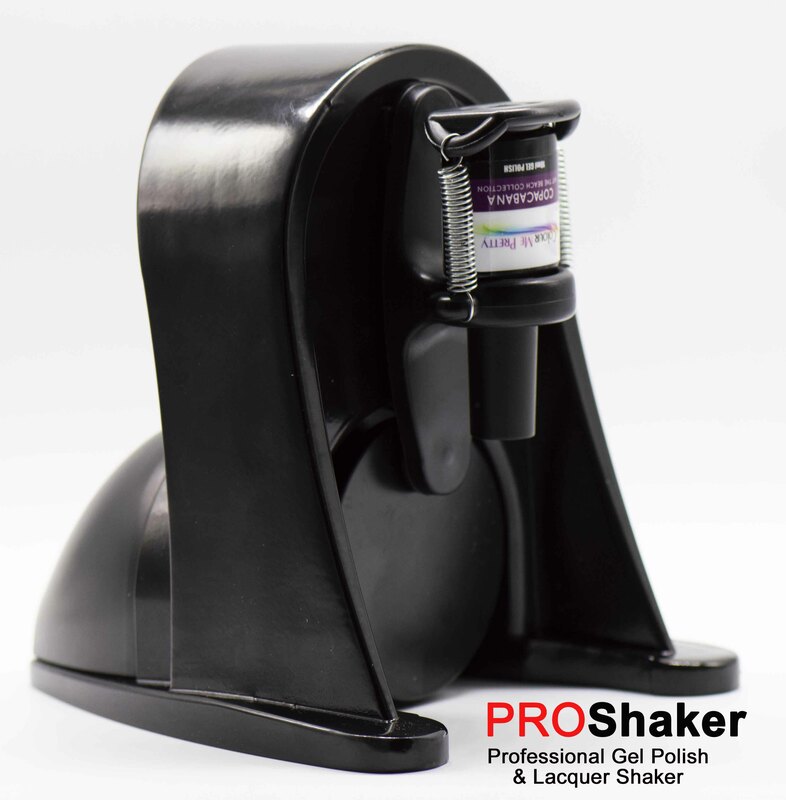 Load & Secure the bottle in the PROShaker. 2. 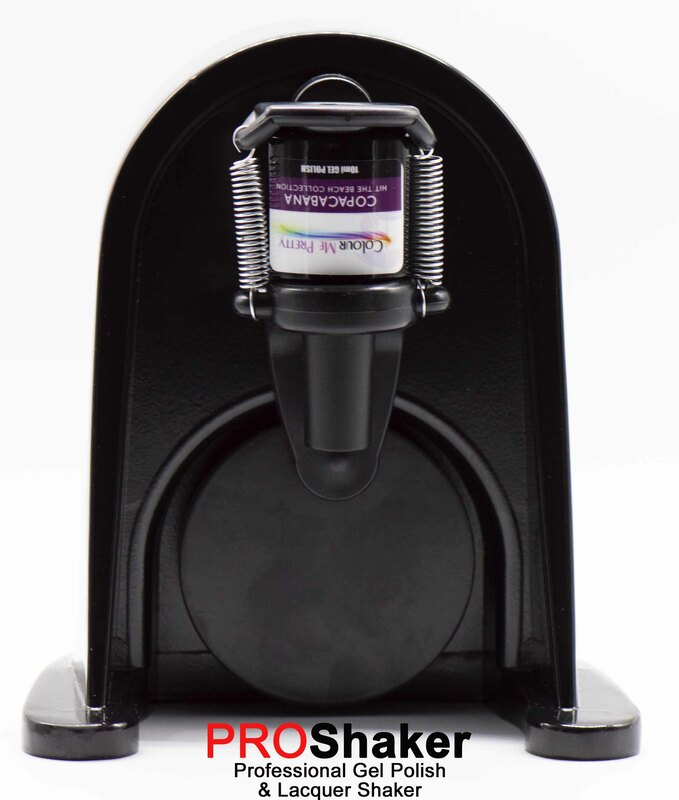 Press the red power button to start the 60 second shake cycle. 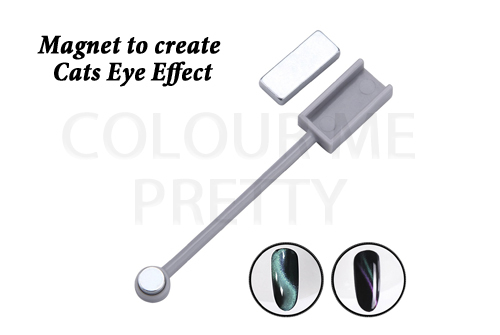 For some colours you may need to put them through the cycle more than once. 3. Remove the bottle from the secure attachment & allow the bottle to rest for at least 60 secs. This will help the gel polish to settle. – Delivery will not be until at least December 15th 2018. 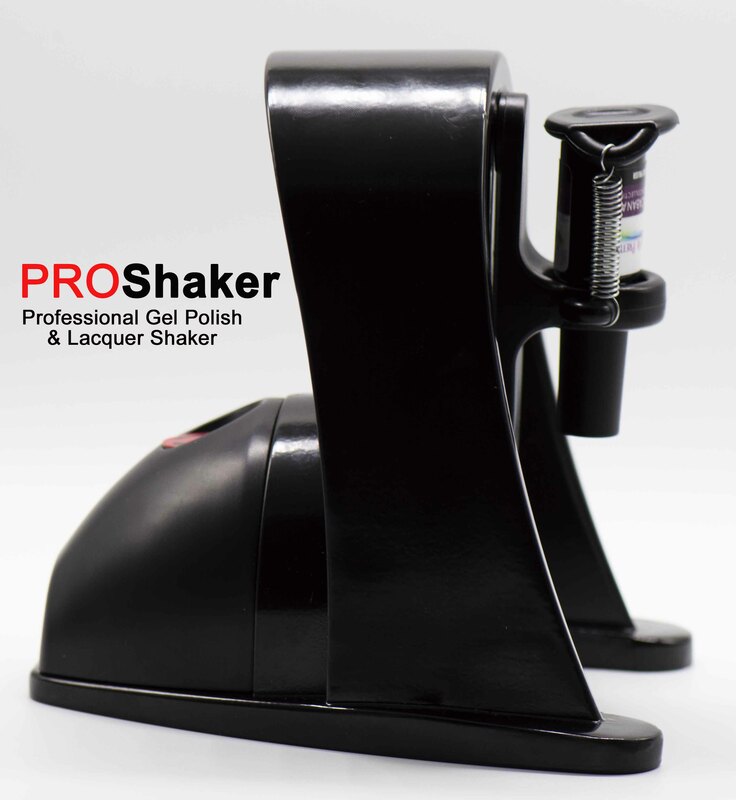 – If you place an order for the PROShaker then that ENTIRE order will be held until we receive the machines. 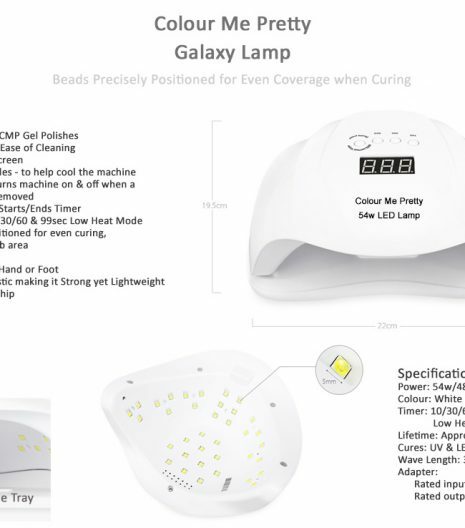 – Your warranty will start from when you receive the machine, not your Pre Order Purchase Date. 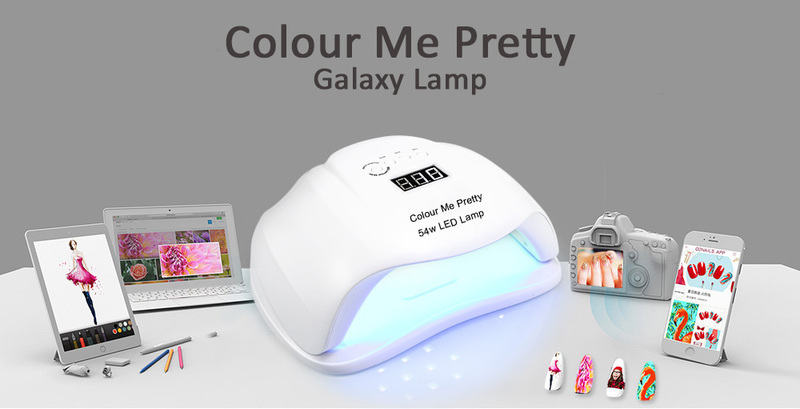 Copyright © 2018 - Colour Me Pretty. All rights reserved.